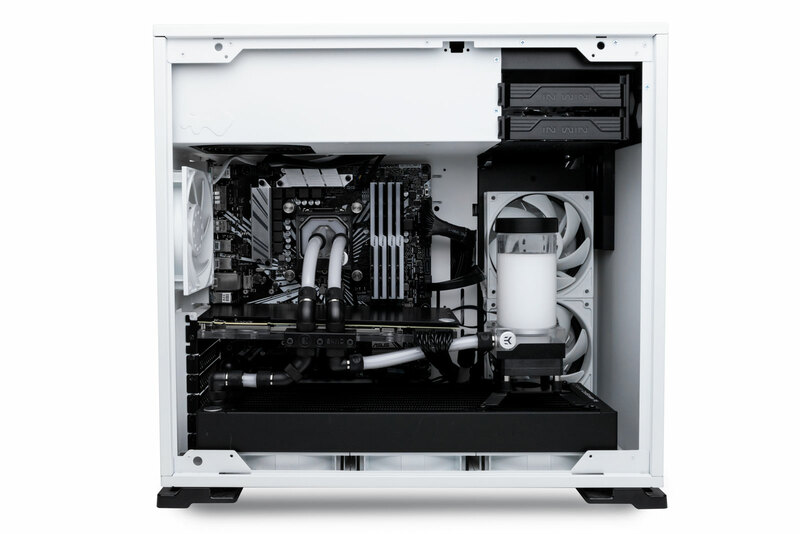 We’ve contacted you, our users, for your opinions and feedback on what do you think are the most common first-time liquid cooling misconceptions, and the things that make you say “If only I knew this before!”. We’ve compiled the list and started with the most common ones that will help guide novice builders to have the best possible experience. Oftentimes not having a drain port, or placing it in a bad spot can make your liquid cooling experience complicated. At one point you will want to do your yearly coolant swap, or just want a new coolant color, or you will want to change liquid cooling components. In any of these cases you will have to drain your loop, and without having a drain port already installed, it could be a tricky and time-consuming task. The best location for a drain port is the lowest part of your loop, so that gravity does its job and makes most of the coolant drain out by itself. A little bit of help by tilting the case can occur, but an ideally placed drain valve usually does most of the job. If not, be prepared for different kinds of acrobatics and case juggling to get most of the liquid out. 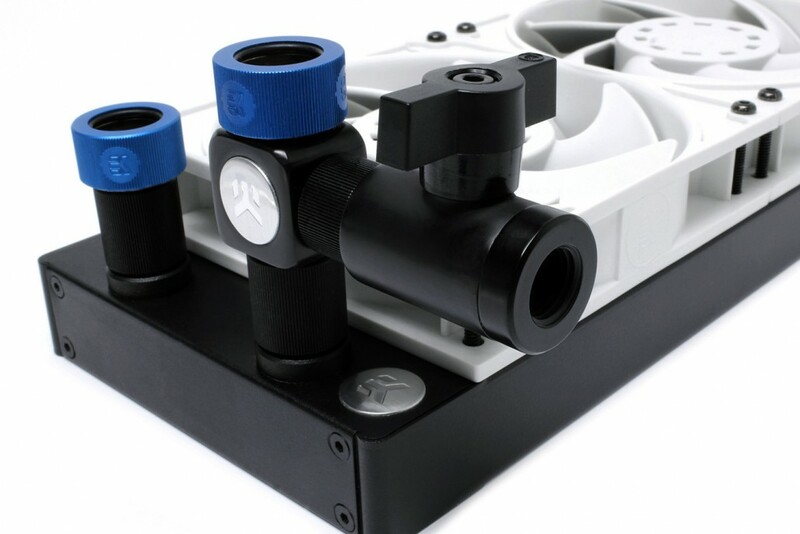 In this case, pun intended, a drain port added next to the pump reservoir combo unit would be a neat option. However, regarding functionality, a drain port on the far left end of the case would help draining liquid straight from the GPU water block. While this is effective, it might also be aesthetically more intrusive, so the user sometimes has to make compromises – functionality or aesthetics. The given example will most certainly have all the coolant settled in the radiator since its the lowest point of the loop. Fortunately, the radiator, as the final and lowest part of the loop can be unscrewed and drained by simply pouring out the coolant. What is required to make a drain port? In order to make a drain port, you need a free port, easily obtainable by using a splitter. Below you can see a very good example of a drain port that is mounted using two M-M extenders, a T-splitter and a drain valve. However, this is only for mounting demonstration, and the drain port is best to be at the lowest point in the cooling loop. Having a setup like on the image would cause for coolant to be stuck in the radiator. This is it for the first episode, soon we will be covering other topics. Until then, stay cool!